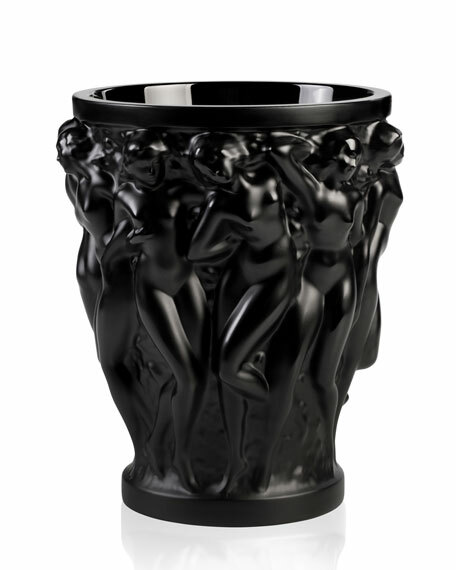 In 1927, René Lalique's boundless imagination and creative genius lead to the creation of the Bacchantes vase. The iconic design features the young priestesses of Bacchus and their voluptuous beauty and curves. A work of unparalleled beauty, the splendor and sensuality of the vase continues to leave admirers spellbound. 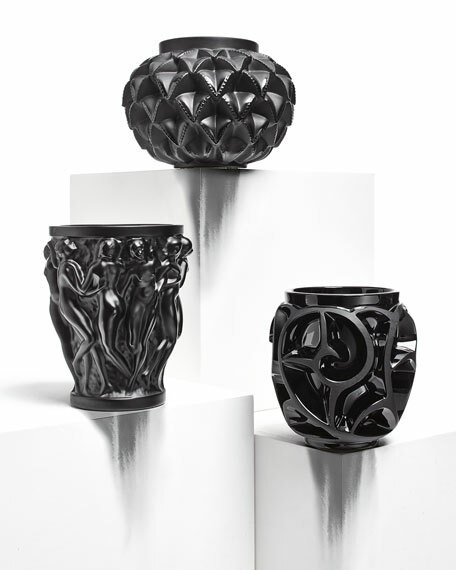 The petite version of this iconic vase is transformed when presented in striking black crystal. Handcrafted vase. Mouth-blown glass. Overall, 6.8"Dia. x 9"T. Imported.